The Al Ponte Pizzeria & Restaurant in Mellieha, Malta is an authentic Mediterranean Restaurant under a rustic vault ceiling with a beautiful terrace; the latter being filled with flawlessly presented tables all year round for the enjoyment of a sumptuous al fresco meal. 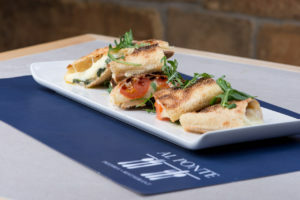 Al Ponte Pizzeria & Restaurant is renowned, particularly among local guests in Mellieha, for its delicious Mediterranean food and selection of local and foreign wines. 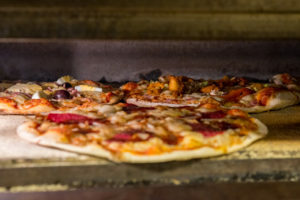 Feast on a scrumptious pizza, fresh from Al Ponte’s Pizzeria & Restaurant stone oven, after watching the progress of your meal in the restaurant’s open kitchen. 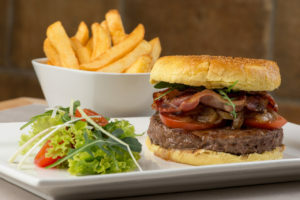 In the late morning, the restaurant acts as a cafeteria, and later on serves lunch and also dinner. Cakes and coffees are continuously available. Our menu aim at Al Ponte has always been to use the best locally grown ingredients to serve mouthwatering dishes to our esteemed clientele. We are proud to have served thousands of people the last years in our Al Ponte Pizzeria & Restaurant in Mellieha. At the Al Ponte Pizzeria & Restaurant we have you covered with several of our delicious meals that you can simply order for take away. Call us on +356 2289 2289, to place your order!